The next class of the Baseball Hall of Fame will be announced next Tuesday, and it should be a tight squeeze for a few folks. How seriously are the Hall of Fame voters taking this historic election? Well, we've already told you how Woody Paige is going to vote for Goose Gossage because he was personally nice to him. (Which, we assume, makes Gossage the only man on earth qualified for the Hall of Fame.) But how about the other Hall voters? How studious are they in their deliberations? Vegas Watch has an excellent rundown of ridiculous Hall of Fame arguments. Oddly, two of the top three — Paige's is No. 1, of course — involve Tim Raines. Here's Tracy Ringolsby's thought "process:"
"The biggest debates for me were Tim Raines, who obviously was overshadowed by Rickey Henderson, but also if you take Vince Coleman's five top years, I would say he outperformed Raines, too, and I don't see Coleman as a Hall of Famer." In his top five SB years, Coleman stole 484 bases. In Raines' top five SB years, he stole 384. This is the only category in which Coleman outperformed Raines. They were similar players in the sense that they were both fast, I guess. So maybe Ringolsby thinks the only thing that matters with guys who are fast is how many bases they steal? That must be it, since comparing Raines and Coleman as overall players is laughable. It's not close. In fact, in the comments of this post, tangotiger makes the amusing point that Raines' worst five years were easily better than Coleman's best five. Tim Raines is going to fall short of the Hall of Fame this year, and he has reasoning like this to thank. 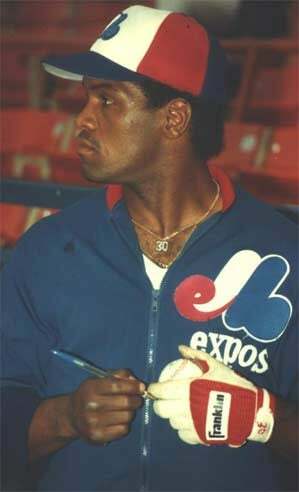 Personally, we believe Raines should be in the Hall of Fame simply because he admitted to sliding head first so he wouldn't break the vial of cocaine in his back pocket. That reasoning is as sound as Ringolsby's.